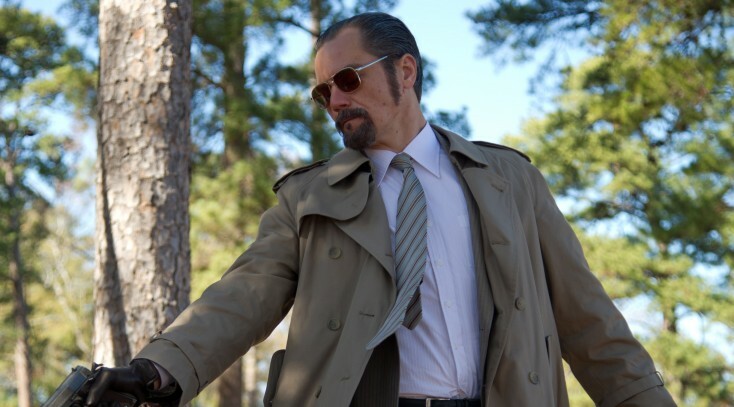 Michael Shannon as Richard Kuklinski in “THE ICEMAN.” ©Millennium Entertainment. CR: Anne Marie Fox. In “The Iceman,” directed and co-written by Israeli filmmaker Ariel Vromen, Shannon plays a character on the other side of the law—real life serial killer turned mob hit man Richard Kuklinski. Kuklinski was a calm and cold-blooded killer who led a double life: he was a family man with a loving wife Deborah (Winona Ryder) and children, as well as a ruthless and efficient assassin for mob boss Roy DeMeo (Ray Liotta). In an interview, the 38-year-old Shannon talks about getting into the skin of Kuklinski, who claimed to have killed more than 100 people before he died under suspicious circumstances in 2006, and the nail-biting experience of shooting the film quickly and on a tight budget. He also spoke about his upcoming turn as Superman’s nemesis in “Man of Steel” and dealing with fans. Q: How did you become familiar with Kuklinski? Shannon: I watched an interview he did from prison. They showed (an edited version of) it on HBO, but I saw the full interview, unedited, 20 hours, 10 times. That’s how I got to know him. Q: What did you discover about him? Shannon: I discovered a lot of things. He’s a very complicated person. It’s hard to get to know the guy because you’re not sure when he’s telling the truth. He contradicts himself all the time. But the one thing that seems pretty apparent to me is that he’s a very sad lonely person that’s been in a lot pain his whole life. The one thing that meant everything in the world to him had been taken away forever. Q: He’s obviously a sociopath. He doesn’t have a moral compass, right? Shannon: I’m not sure if he was without a moral compass at all. He does have certain rules of what he does. He doesn’t hurt women or children or kill them. The way he looked at it, if he didn’t kill most of the guys he killed, someone else would kill them. For me, I don’t think that the world needs to know more about sociopaths. I’m not on a crusade for the world to know. The only thing that makes Richard Kuklinski interesting to me is the tenderness I believe he had in his heart, under all the layers of rage and fury, there was this little fragment of tenderness that he wouldn’t let go of and that he did everything in his power to protect his family from himself. That’s what I found interesting about him. Q: What was it like the first day of shooting? Shannon: That’s the first time I met Ray Liotta. A lot of the day I was thinking, “That’s Ray Liotta. He was in ‘Goodfellas.’ He was in ‘Something Wild.’ He’s really good. Oh yeah, he’s freaking me out. I don’t know what he’s going to do next.” The big issue we had when we were shooting that scene was this whole thing of me not eating vegetables. I’m trying to figure how I’m supposed to be picking out mushrooms from an omelet. We were wondering if mushrooms were really a vegetable. Do they really count as vegetables? That was the big question of the day. Q: Winona Ryder, who plays your wife, said the scene in the kitchen where you lose it was totally unrehearsed and she was surprised by your performance. What made you go in that direction? Also, how badly did you hurt yourself? Shannon: I tripped over a table. It wasn’t very bad at all. It was a scratch. I’ll show you. Oh no, it’s not there anymore. (He laughs.) Unfortunately, that happened on the first take. We had a very slippery coffee table and so I was walking to the table and stepped on the coffee table. I was like Kathy Fleming and I was skating across the table. There’s a Kathy Fleming who’s an ice skater, right? Shannon: Right, Peggy Fleming. So I fell, and I was trying to keep it hidden from Winona. Winona is a very delicate individual and I knew (the blood would) freak her out. So I was crossing my legs. Between takes, I’d go stand in the dark in the backyard. It was a major injury. But I’m here. I’m still fine. Q: Before you kill one character (played by James Franco), you give him a minute to pray for help. It felt spontaneous and so natural. Was that scene part of the script? 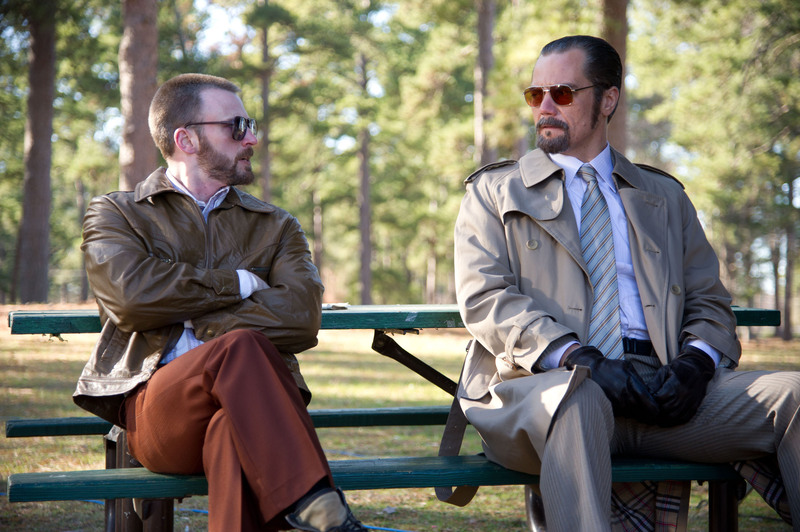 Shannon: That’s actually a story Kuklinski tells a lot. (On the tape) the interviewer says, “Do you ever regret any of these?” And he says, “Yeah. I have one I regret. The time I made a guy pray to God. I shouldn’t have done that.” That’s why that scene’s in there. We had a hell of a time getting James Franco to pray. He didn’t want to pray. I don’t know if he’s anti-religious or something. He just wouldn’t pray. Ariel is like, “You’ve got to pray. You’ve got to pray to God. That’s the whole point of the scene.” He wouldn’t do it. Q: I know this is not a message movie, but what do you want the audience to get from it? Shannon: I think it’s a really good example of how living a double life is a bad idea. You should try to find someone that you’re comfortable being in all situations that has continuity and so that you don’t have to keep big secrets and drive yourself crazy. I think a lot of what he was suffering from got progressively worse and worse the longer he tried to keep all these secrets. Secrets are poison. Q: The relationship with your character and his daughters are very nice. You have a daughter. How’s your relationship with her? Was your own personal experience useful in the film? Shannon: Yeah. Sure. I mean she’s four. She’s a lot younger than the girls in the film. My daughter is my most favorite person in the world. The father-daughter thing is very powerful. I’m a very different father than Kuklinski. Q: Was it pretty relaxed on the set despite the subject matter? Shannon: No. It was hard! Like I said, “We didn’t have much money and very little time.” We were barely making our days. It was like the Millennium Falcon trying to fly out of the Death Star. It was a very nail-biting experience, but we made it. Shannon: I kind of felt that way when I got to Chicago, when I started doing plays in tiny theaters. I wouldn’t make any money or get paid anything. There’s this one theater I loved. It was in a basement of a restaurant. It was just a concrete room with folding chairs. We’d do plays down there. I can’t think of any one moment (that it struck me). It was kind of like Chinese water torture, bearing into your skull and eventually you can’t resist. Q: In “Man of Steel” you play General Zod. Is it daunting to think about kids are going to be buying your action figure Might be harder to go out in public without being recognized? Shannon: I don’t know. I’ve been getting a lot of that with “Boardwalk Empire.” When you’re on TV, you become part of people’s ritual. You’re in their house once a week and they feel like they are getting to know you. I don’t mind it. I mean, I guess I’ve been thinking about getting a hat and sunglasses or something. I can’t drive around in Town Cars. That would drive me insane. I like to walk and go out and take the subway. I just have to deal with it. Q: Are you based in New York? Shannon: Yeah. I live in Brooklyn. Q: Are celebrities more invisible in New York? Shannon: Yes and no. I get plenty of well-wishers. It’s not really a negative thing as long as they don’t expect to be my best friend. Q: How do you handle it if someone comes up to you for your autograph? Shannon: Okay. Let’s do it. You be the fan. Shannon: Yeah! Sure! You got a pen? Here. All right. Thank you! Thanks a lot. Take care. Have a nice day. Bye-bye.